Home Best Practices Data Science Multimedia Source One News What you need to know when conducting a spend analysis - new podcast! What you need to know when conducting a spend analysis - new podcast! You know you need to cut costs. As a procurement professional, cost reduction is a primary function of your job. 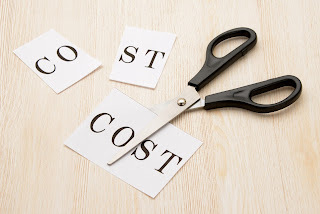 While you may systematically negotiate lower rates when contracts come up for renewal, what about a proactive cost reduction strategy? - One in which, you identify a key category for savings and methodically go-to-market to find the best pricing and service levels for your company's needs? Where do you start? How do you know which categories to target? How do you differentiate the quick wins vs. the long term investments? The answer is: conduct a Spend Analysis. Before you can build a category management plan, or even a sourcing strategy, you need to know what your company is buying, with whom you are buying these products and services from, and just how much you are buying. The purpose of conducting a spend analysis is to understand your company's spend profile. It is the crucial first step to establishing a better procurement strategy for your organization. For those unfamiliar with Source One, Strategic Sourcing is our bread and butter. Meaning, we've been helping Fortune 1000 companies for decades understand their spend patterns and history to develop go-to-market and category management plans that allow them to proactively keep costs maintained. So, our spend management experts have learned a thing or two about collecting, cleansing, and categorizing spend data to derive actionable insights. We sat down with two of our most talented spend management consultants to get a look at the ins and outs of a Spend Analysis. Associate Director Jennifer Ulrich and Project Analyst Brian Seipel, answer some of our most commonly asked questions when it comes to the spend analysis process, as well as the pitfalls to avoid so you can rest assured your spend analysis will result in actionable information for the basis of an effective sourcing initiative. Listen now to the What You Need to Know When Conducting a Spend Analysis Podcast!